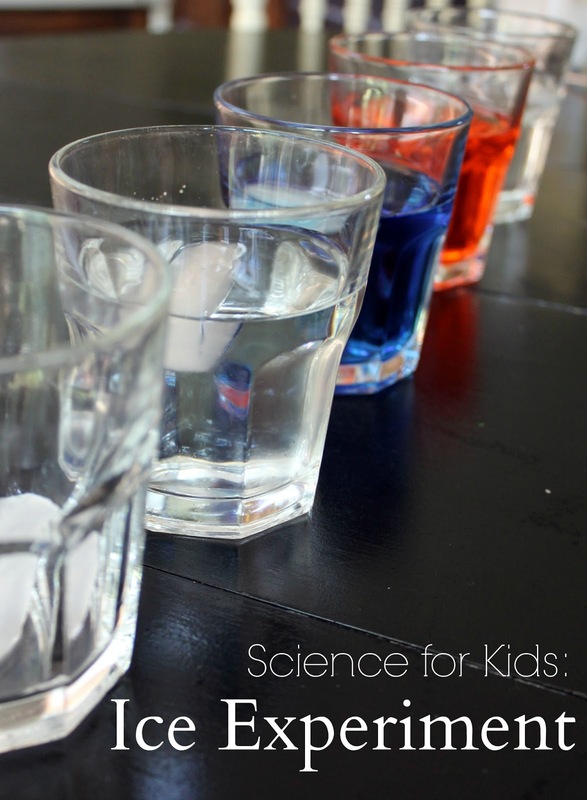 This science experiment is easy to do and requires few materials, all of which you probably already have on hand. It can be done with kids of any age. My preschoolers really enjoyed it, but it's suitable for older kids too. We started by filling 3 glasses with equal amounts of water. 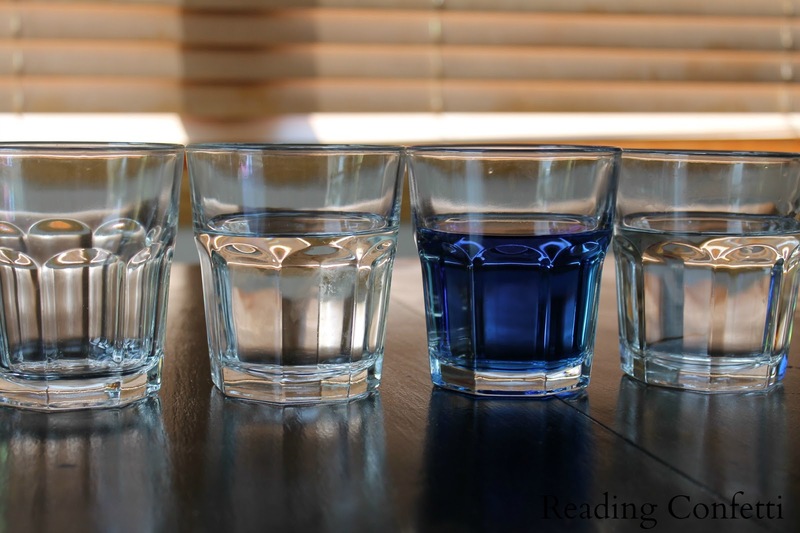 One was cold water, one was cold water with salt and food coloring (just for fun), and one was warm water. The fourth we left empty. We put an ice cube in each of the four glasses and made our hypothesis about which would melt first. My five year old guessed that the ice cube in warm water would melt first and the ice cube in the cold water would melt last. We had to do two salt water mixtures since we couldn't agree on just one color. The substances with the fastest moving particles melted the ice sooner than the substances with slower moving particles. When faster moving particles slam into slower ones, some of the energy is transferred, allowing the ice to become water. Warm water - The warm water has the fastest moving particles. Cold water - Slower moving particles than the warm water but still faster than salt water or air. Salt water - Adding salt to the water causes the temperature to drop, resulting in slower moving particles than plain water. Air - Because air is a gas, it has fewer particles to bump into the ice than the water does. You can find more information about the science behind it here and here. We also tested the melting rate when the water was stirred vs. not stirred. 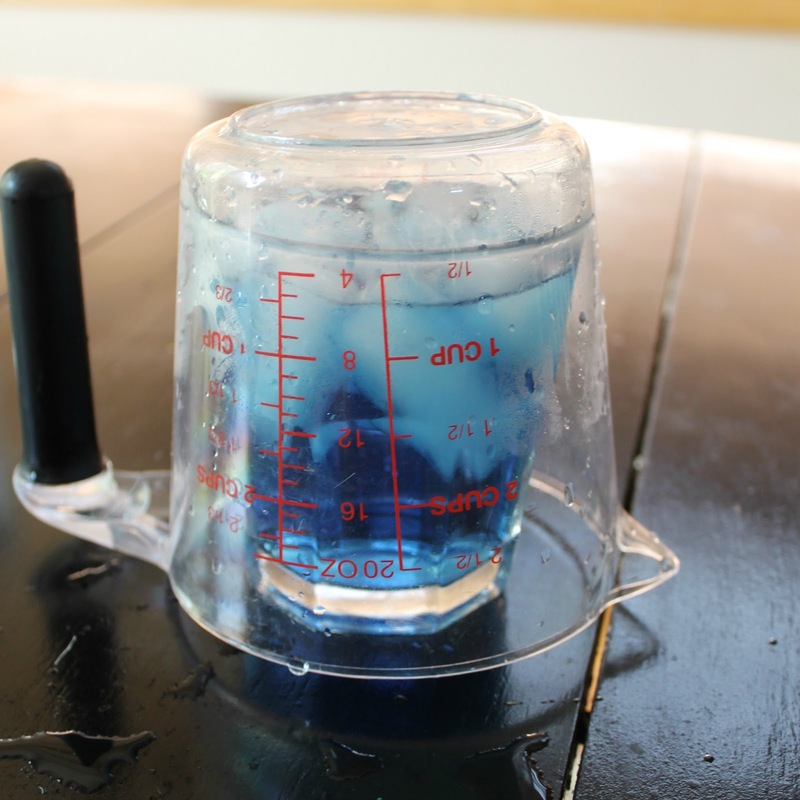 The ice cube in the water that was stirred melted faster because stirring causes the molecules to collide at a more rapid rate. 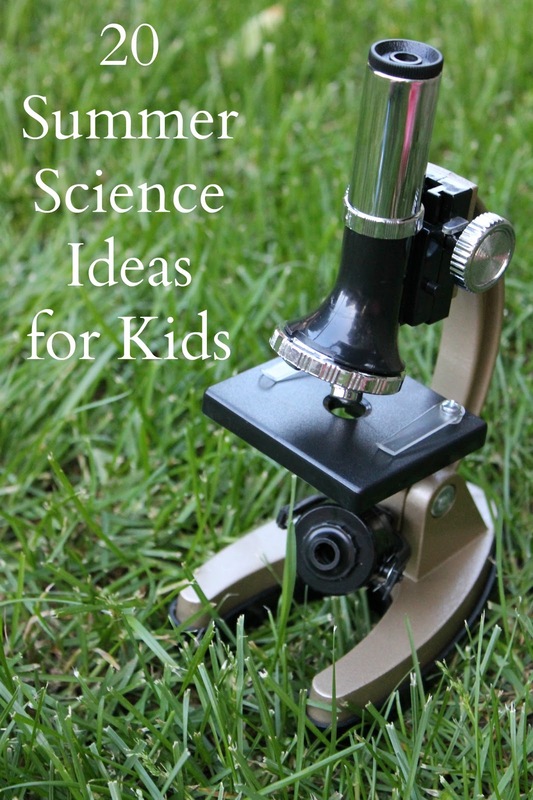 What are your favorite science activities to do with your kids? This is a very cool project, and the one that I would certainly be repeating with my 6 year old. I love projects that require a minimal set up and clean up! What a neat experiment!! Thank you for sharing at Sharing Saturday!! 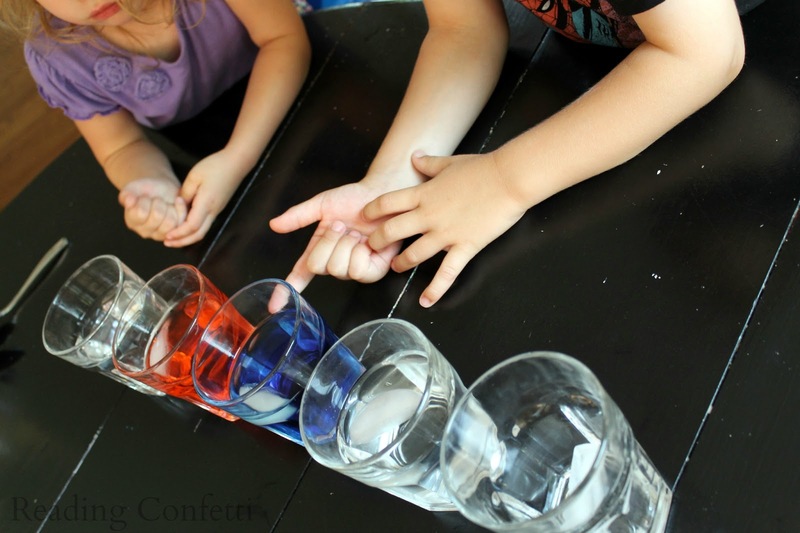 I love simple science and the fact that your kids created their own experiments after you showed them one. We haven't really explored melting yet. I need to add it to our list! 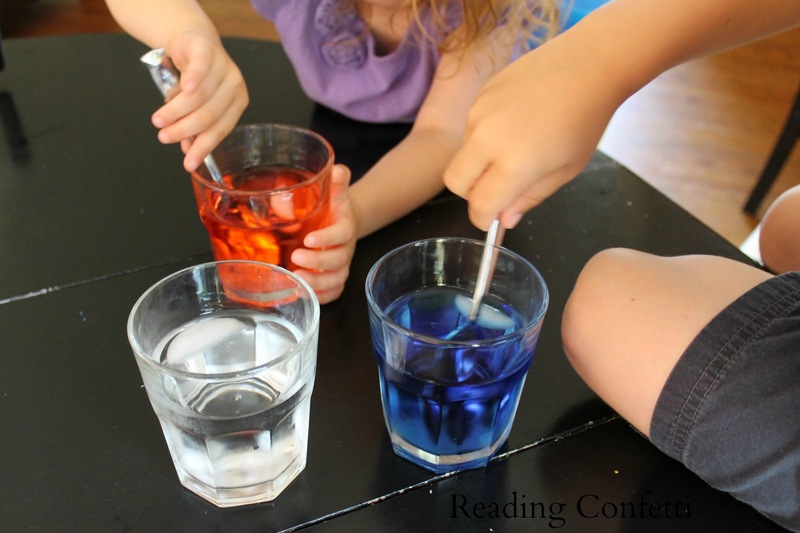 This is a great experiment, we love exploring melting. It's very satisfying isn't it? Thanks for linking to Challenge and Discover. 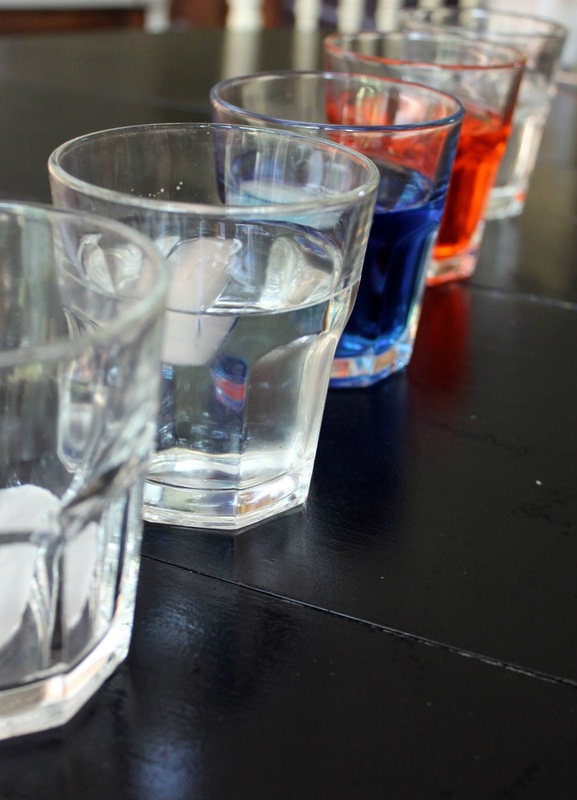 can you use clear plastic cups instead of glasses?